Born and raised in Saint Louis. With my extensive knowledge of the St. Louis Metro & 7 surrounding counties, Ill help you sell and find your "perfect place no matter which end of town." I am a Veteran Realtor & have a proven track record of sales and customer service. I have been honored by The Saint Charles Board of Realtors from 2005-2018 for my sales production & recognized in 2014 & 2015 for unassisted sales exceeding 10 million dollars. I have been honored by Saint Louis Magazine 2012-2019 for The 5 Star Award for top customer service, ranking in the top 4% out of over 17,000 Realtors in The Saint Louis Market. I am dedicated to success on every level! I wanted to do this Recommendation for Aimee Davison because there are very few professionals in the Real Estate Market that will go over and above to make sure your Homeownership Dream can become a reality. With her outgoing personality and constant drive to succeed she will make sure any and all of her clientele get exactly what their Real Estate Needs are for whether it is Purchasing or Selling Aimee will go over the rest and make sure that you have the best experience and close without a hiccup. Thank you Aimee for your Business with us here at Community Title Services and I look forward to working with you in the near future. Aimee is a top notch agent. She is knowledgeable and cares. I have used Aimee twice once in selling a home and recently for purchasing my home. On both occasions Aimee made the process smooth and stress free. When I have Real Estate clients that want to look in Missouri, Aimee is always my first recommendation. Aimee has a great deal of knowledge in her market, and every client I have sent her way has been happy with her prompt response and accommodation to their schedule. It is no wonder she continues to receive awards for being a top producer year after year and I recommend her highly. I have referred several clients and friends to Aimee Davison. She has, repeatedly, gone above and beyond to provide an outstanding service to all. With the knowledge that Aimee has of the industry, there is absolutely no one better to represent you regarding your Real Estate needs. Aimee is full of ENERGY, charisma and most importantly, knowledge. Over the years of working together, I have seen the trusting relationship she creates with her clients. Aimee has the drive and experience that all buyers and sellers needs in today’s market. When dealing with one of your largest assets, it will put your mind at ease to have Aimee on your side. I Have worked with Aimee for several years. She is very professional and passionate about working for her clients. One can always expect prompt, professional service from her. She is very personable and can work with any number of different types of people and personalities. I find that she is always working to stay ahead in here field of real estate on what changes are coming and how to deal with them. This puts her clients in a good position in that they have a professional staying abreast of the industry and changes that it brings. 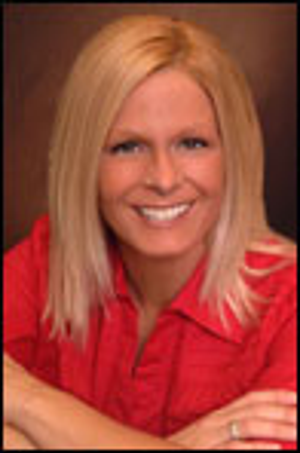 Aimee has unsurpassed energy, enthusiasm and knowledge when providing representation in a Real Estate transaction. When my son was looking to buy his first home, he wasted a lot of time on other agents until he finally took my advice and hired Aimee. Shortly thereafter he was moving into his new home – it was that simple. It is my pleasure to recommend Aimee for a Realtor. She is very knowledgeable, professional and of high integrity. Her work ethic and dedication to her clients are attributes any buyer or seller would benefit from throughout the real estate transaction. Aimee offers a high level of service to her buyers and sellers making her an asset to your buying or selling experience. You were great! Thank you for doing everything you could to get the house sold. I know we had high expectations on the price and you didn't tell us we were crazy, you listened to us and listed the house higher than most realtors probably would have allowed! Your abilities to stay calm and negotiate wisely were a huge benefit to us. Thanks so much!! We are absolutely thrilled with Aimee Davison of Schneider Real Estate! Our home had multiple offers before a week on the market. We closed at full price, which was unexpected in this market. Aimee is extremely knowledgeable of all things buying/selling homes. She is tactful and kind, keeping her word at every turn. We appreciated and implemented several suggestions Aimee gave us, which made our home more attractive to prospective buyers. Aimee also sold my sister-in-law's home last year, closing in about a month also. I suggest her for your Realty needs as she would be my first call if we buy/sell again. Aimee's work ethic and professional approach are to be admired. Thank you for helping us with this closing. You are a professional in every sense of the word! Even though the sale was to my future son-in-law, we had no idea what we were doing and you made it easy for us. You saved him from the evil empire of the rocket mortgage! Your guidance and expertise was much appreciated and we thank you.